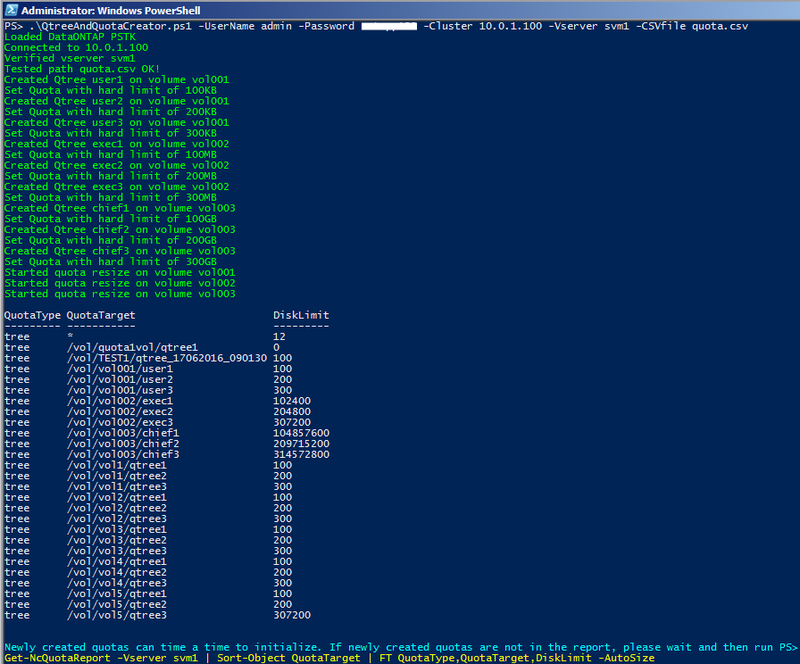 I have a load of trees that were created on another vendor’s storage (non-NetApp), each tree has a quota; how do I recreate all the qtrees and qtree quotas on cDOT, in readiness for migrating the data off? The following script was created with the above scenario in mind. 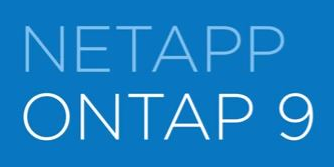 We’ve already created the volumes, so need an export of information from the old storage system regarding its Qtrees and Qtree Quotas, and then we can take this information and use it to create our Qtrees and Qtree Quotas on NetApp Clustered Data ONTAP (version 8.3.2 used in the examples). 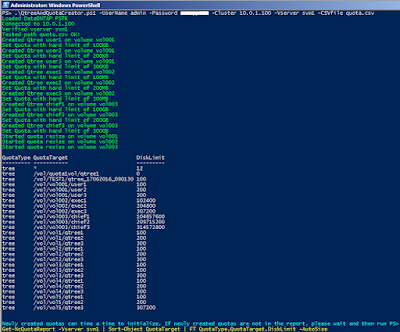 In the screenshot below is an example of the content of the input CSV. 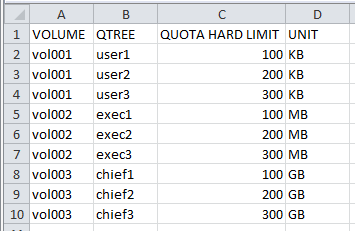 Here we only consider Quota Hard Disk Limits (this could be expanded for other types of Qtree Quota limit.) The column headings in the CSV need to be as in the example (that is: “VOLUME”, “QTREE”, “QUOTA HARD LIMIT”, and “UNIT”). An example of the output is in the Appendix beneath the script.